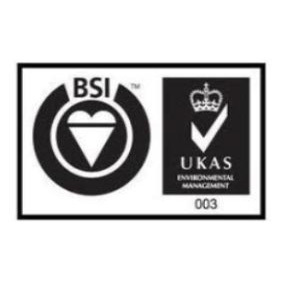 Ruggles & Jeffery prides itself on the quality of our management systems and we are pleased to report that a recent BS EN ISO 9001:2008 Quality Management System Audit was completed at one of our sites in Bromley with no non conformities raised. The Assessor noted that Site induction records were evident for all the workmen at the site, as were records that identified that toolbox talks were taking place. CSCS records were seen to be recorded for the workers on site. The Assessor asked to see the record for various Brick Layers seen working and all was in order. Scaffolding was used on the outside of this particular site and a record of the scaffold inspection by the safety manager was seen by the Assessor to confirm that it met requirements. The Assessor also checked records that identified that an asbestos survey had taken place 8 November 2006 ref C92229/SPR 003 and the company has also commissioned a later survey. The Assessor inspected relevant method statements and risk assessments that were accessible and visible on site as were COSHH data sheets and assessments for the substances used at the site. Fire extinguisher were suitably placed around the site and a fire risk assessment was again in evidence. Training records for Agency staff and sub contractors were correctly kept in the site file. All workmen were wearing appropriate Personal Protective Equipment (PPE) including Hi Vis, safety shoes and helmets. We are obviously delighted that the Audit recognised our continued good practice and the quality of our management systems.